Comments: Hardcover under dust jacket, 195 x 220 mm. First true edition, 1962. Gravure printing. Text in german. Minor edgewear to the extremities of the dust jacket. Book is clean and rare in this condition. Reproductions very well preserved. In very good condition overall. 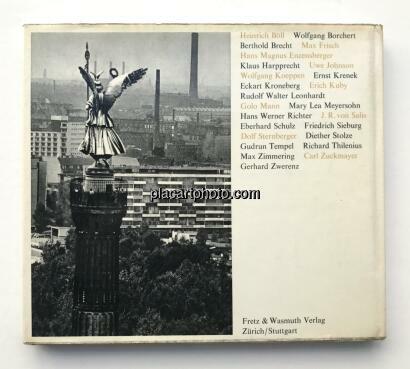 Included in The Photobook by Parr & Badger, vol.1, p.218. Collectible. 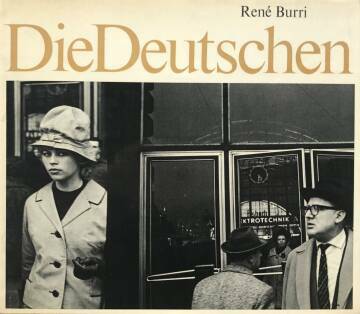 The rather small landscape format publication is reminiscent of Robert Frank’s classic The Americans in both layout and format. 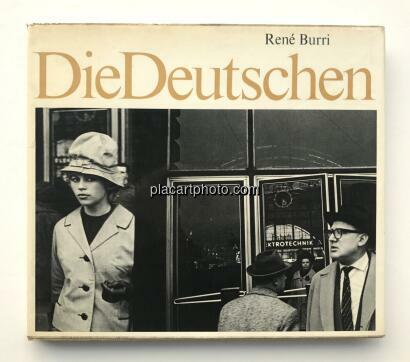 Burri's images are a portrait of the post World War II spirit in Germany. A mix of youthful spirit and history-tainted optimism, conspicuous by the absence of an entire generation. Burri's photographs of the emerging youth, hungry for life, are in obvious contrast to those showing the older generations, so obviously still affected and damaged by war. A portrait of a nation in the process of constructing a new identity. Burri's photographic approach is classic “Magnum”.